In today’s increasingly competitive e-commerce environment, Amazon pay-per-click (PPC) ads provide an effective way for brands to build awareness, improve visibility, and increase sales. Amazon Marketing Services (AMS) is Amazon’s advertising solution for its vendors. AMS offers three different types of PPC ads: headline search ads, sponsored product ads, and product display ads. Each of these ads are ideal for targeting customers at different points of the purchasing funnel. In this post, we’ll provide an overview of each ad type along with real-life examples from popular CPG brands. According to an analysis by marketing solutions provider Merkel, headline search ads deliver the highest clickthrough rates of the three types of PPC ads on Amazon. Headline search ads are top-of-the-funnel ads that are a useful tool for building brand awareness. 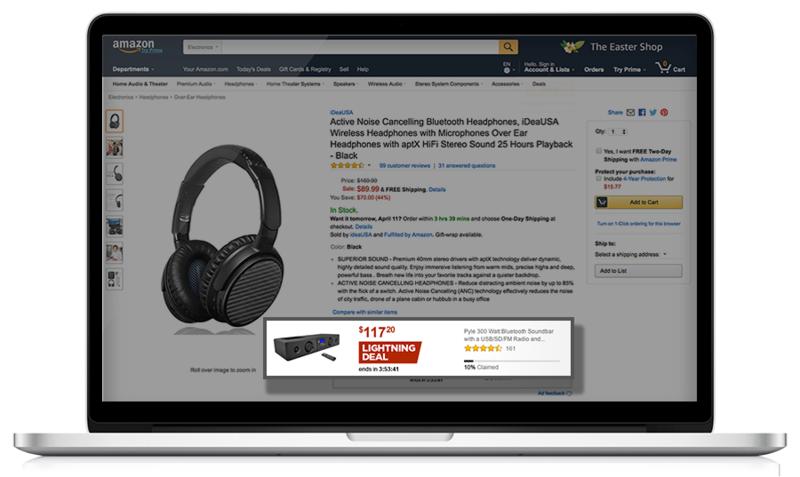 These banner ads prominently display at the top, bottom and left rail of Amazon search results and feature a custom design with your logo, a headline, and up to three clickable products (not visible on mobile app). To create a headline search campaign, start by choosing the landing page for your ad. This is the page where shoppers go when they click on the ad. You can choose an Amazon Store page or a custom Amazon URL. 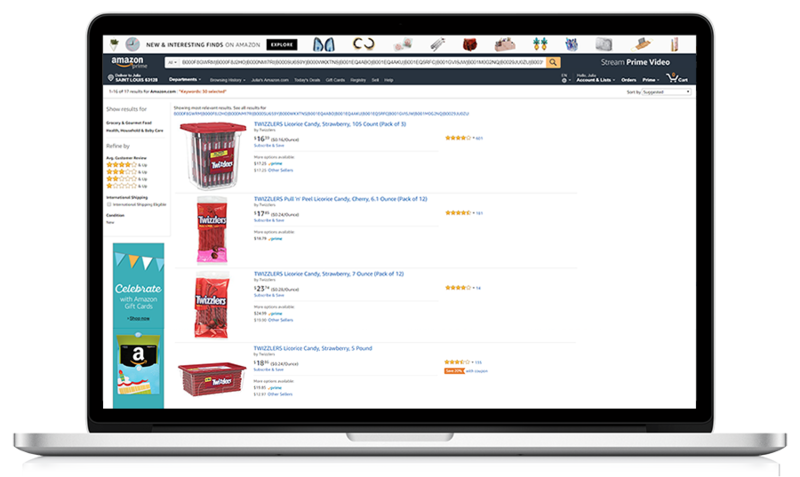 Amazon Stores are custom multipage stores that showcase your brand and products. Custom URLs are search results pages that display three or more ASINs of your choice. Once you’ve chosen your landing page, the next step is choosing the keywords you want to target. When a shopper searches for the keywords in your campaign, your banner ad is eligible for display. When a shopper clicks on your ad, they are taken to the designated landing page or, if they click on a product, to that product’s detail page. NOTE: Headline search ads are also open to professional sellers who are enrolled in the Amazon Brand Registry. "Headline search ads deliver the highest clickthrough rates of the three types of PPC ads on Amazon." According to Merkel, sponsored product ads are the most popular ad type on Amazon, accounting for 82% of all ads served. These ads also deliver the highest sales per click of all three ad types. Sponsored product ads are a great way to increase your products’ search visibility and drive additional traffic to your product detail pages. These ads look like normal Amazon search results and appear at the top, middle and bottom of results pages as well as on the detail pages for related products. Manual targeting: You select specific keywords for your ad to target. 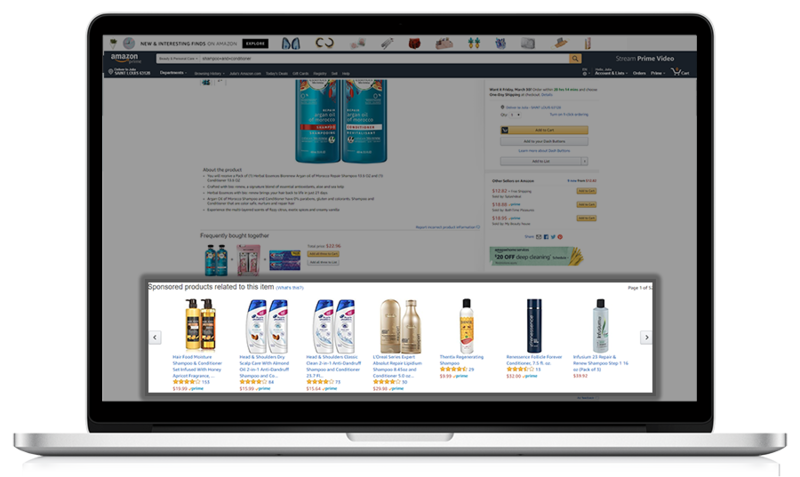 Automatic targeting: Amazon targets your ads to all relevant keywords based on your product information. 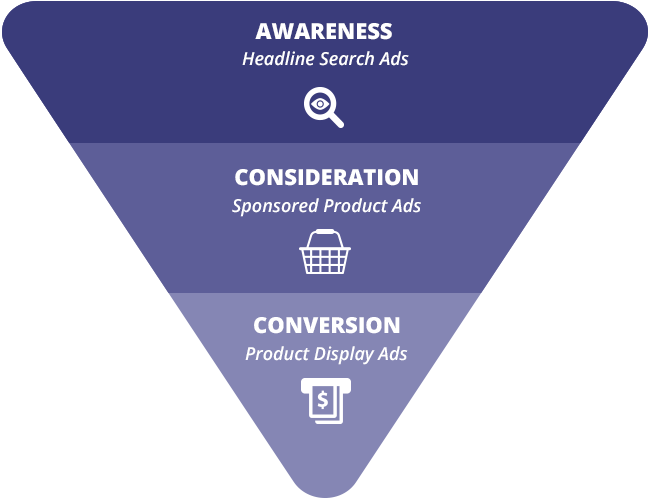 When a shopper searches for the keywords in your campaign, your ad is eligible for display. Your ad only appears if you are the current Buy Box winner for that product. When a shopper clicks on your ad, they are taken to the accompanying product detail page. NOTE: Sponsored product ads are also open to professional sellers. 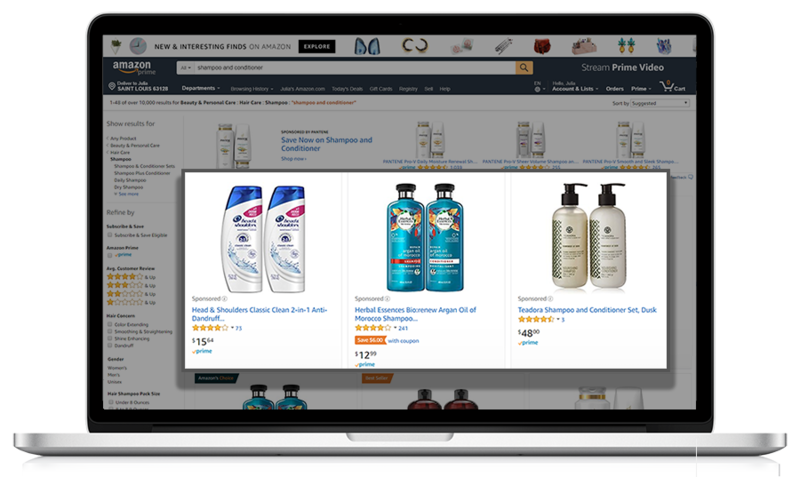 "Sponsored product ads are the most popular ad type on Amazon, accounting for 82% of all ads served." 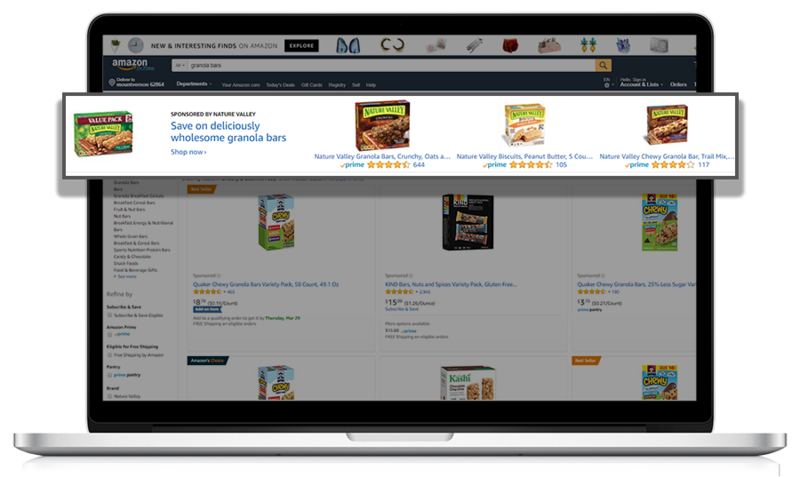 While sponsored products are the most popular ad type on Amazon, product display ads are rapidly growing in popularity. According to Merkle, the use of these ads grew 112% from Q2 to Q3 2017. Product display ads provide vendors with a way to target shoppers who are further along in their purchasing decisions. These ads are great for cross-selling, up-selling across product lines, and competing head-to-head with competitors, according to Content26. Product display ads appear on product detail pages, on customer review pages, on the left rail and bottom of search results pages, and more. Target interests: Target shoppers who have the interests you choose. Target specific products: Target shoppers who are interacting with the products you select (and those similar to them). Target related categories: Target shoppers who are interacting with products in the categories you choose. When a shopper clicks on your ad, they are taken to the accompanying product detail page. "The use of product display ads grew 112% from Q2 to Q3 2017." Product display ads can also be used to promote products that have active Vendor Powered Coupons. These ads function the same as regular product display ads but offer a coupon-specific creative. 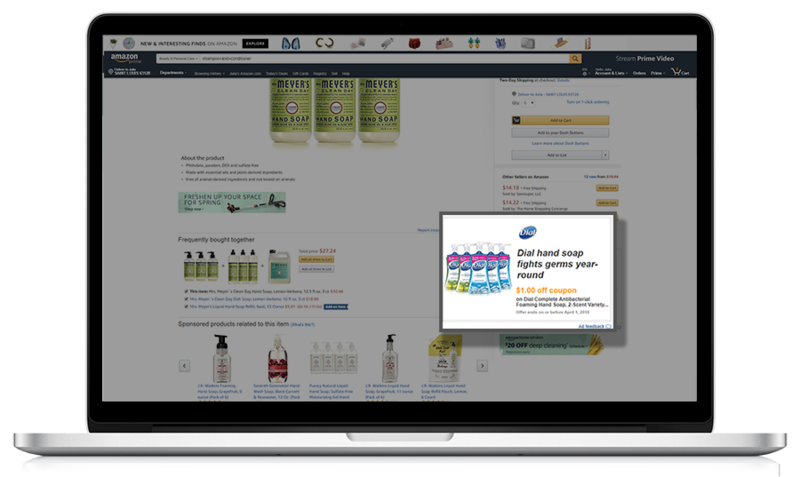 According to Amazon, when you choose a product in the ad builder, you will see a notification if the product has a coupon available. You can choose to advertise the coupon and preview the ad before setting the campaign live. Product display ads can also be used to advertise limited-time deals. According to Amazon, the ad builder walks you through the campaign creation process step by step. It automatically shows you the deals that are eligible for promotion, which are any Lightning or Savings and Sales deals under your vendor code that have been approved and are not scheduled to end within the next 72 hours. Unlike regular product display ads, creatives for deal ads are completely auto-generated and do not have custom headlines or brand logo images. Each deal ad shows the type of deal, the promotional price, and when the offer expires. For Lightning deals, the ad may also include a bar that shows how many of the offers have been claimed. 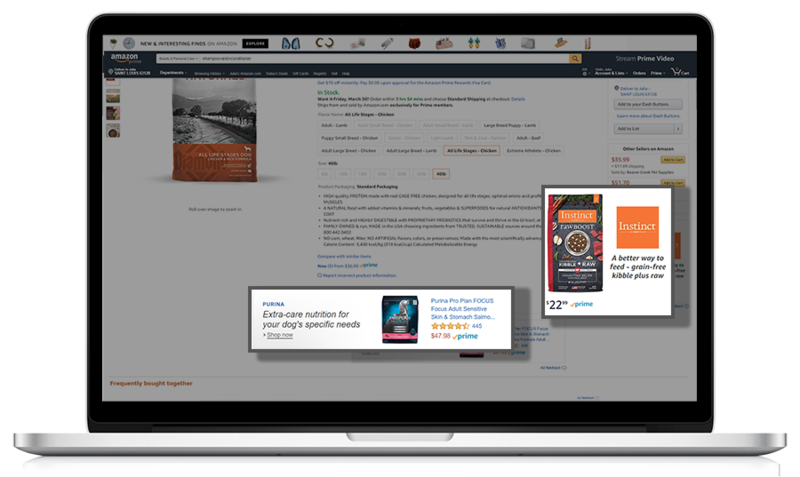 Amazon PPC ads are a great way for brands to promote their products at each stage of the purchasing funnel. But when it comes to your campaigns, it’s not enough to just “set it and forget it.” Success requires continuous optimization, particularly in terms of the keywords and products you’re targeting. 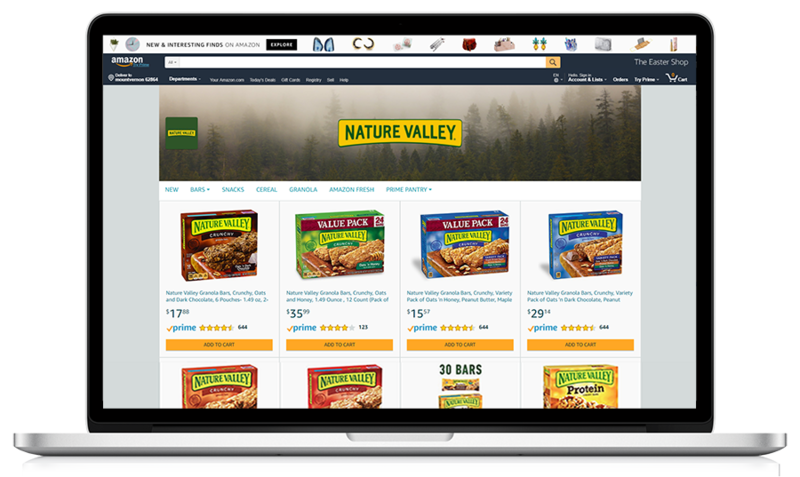 OneSpace is the first e-content optimization platform designed to help CPG brands dominate the digital shelf. By combining the industry’s largest database of consumer search insights with performance monitoring tools and on-demand content optimization services, we enable brands and retailers to respond to market changes and execute product page updates with unrivaled speed and scale. Learn more.